The Jewish leaders replied [to Pilate], "By our law [Jesus] ought to die because he called himself the Son of God." When Pilate heard this, he was more frightened than ever. He took Jesus back into the headquarters again and asked him, "Where are you from?" But Jesus gave no answer. Pilate was trying to find a way out of dealing with Jesus. He knew Jesus was innocent, but couldn't appease the crowd. What if Jesus was who he said he was? How could he convict an innocent man? How could he keep his constituents happy? Who was this Jesus and where was he from? Pilate would lose his integrity unless he released Jesus. He couldn't release Jesus without infuriating the crowd. Jesus would not answer him. Jesus refused to be a pawn in Pilate's political game. Jesus followed the will of his Father, and no one would deter his commitment to righteousness. Facing a choice about Jesus' identity, Pilate the ruler showed fear, gave up his integrity, and became a prisoner to the fickle will of the mob. 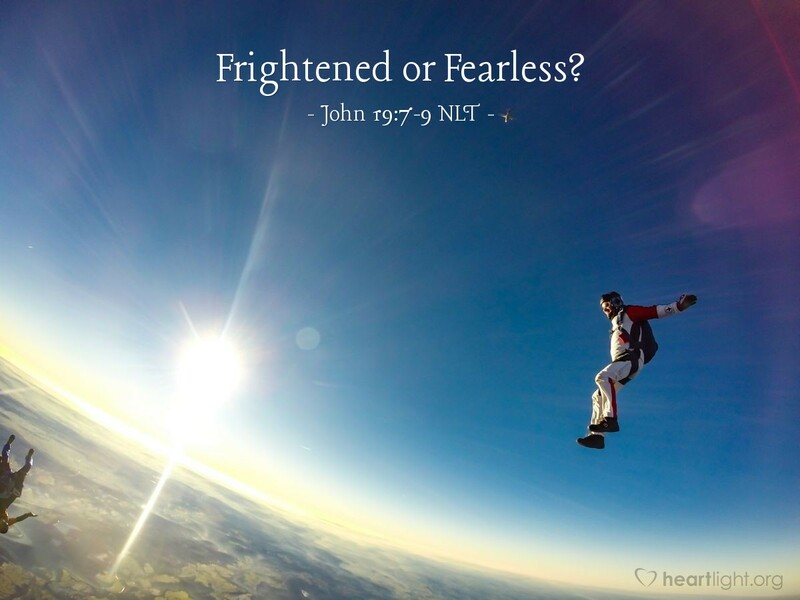 In the face of death, Jesus showed courage, displayed integrity, and demonstrated the freedom to be who he was truly committed to being no matter the will of the crowd. The stark differences in their choices and character remind us of the importance of the choices we make about Jesus and the will of God. Righteous and holy God, what can I say to convey my thanks and appreciation of the horrible price paid for my sin? Thank you! Please purify me, and strengthen me so that my life from this day forward deepens in your character and in my love for Jesus, my Savior, in whose name I pray. Amen.